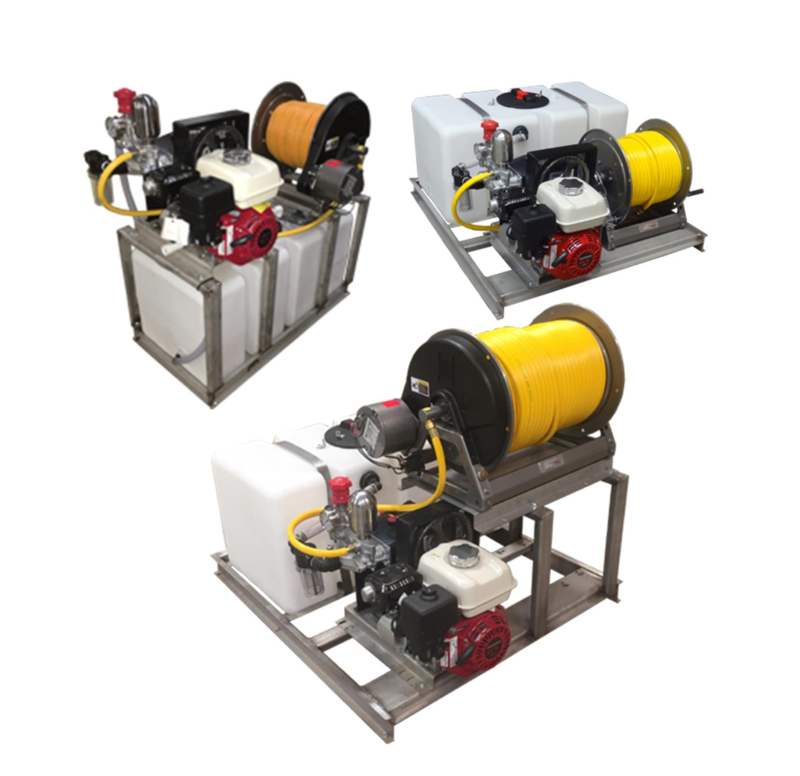 GNC Industries offers the 050 gallon sprayer in several different models: Compact, Low Profile (reel mounted low) and Traditional Skid. 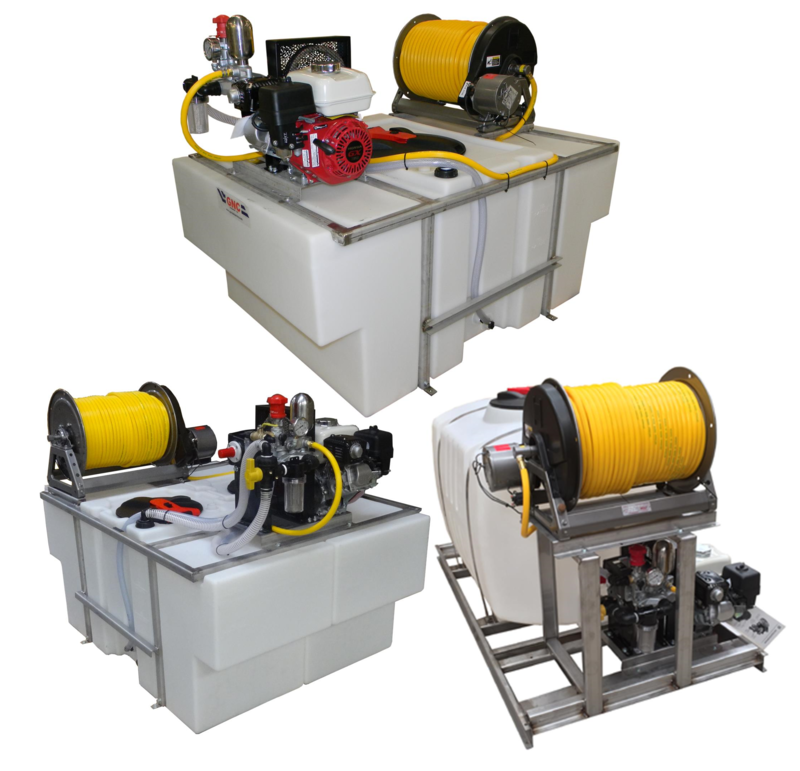 Note:To allow you to customize your sprayer the way you want it, hose reel packages are sold separately. 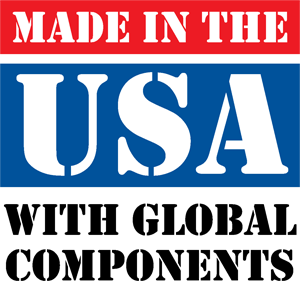 GNC Industries offers the 100 gallon sprayer in several different models: Space Saver, Low Profile (reel mounted low), Traditional Skid and UTV. 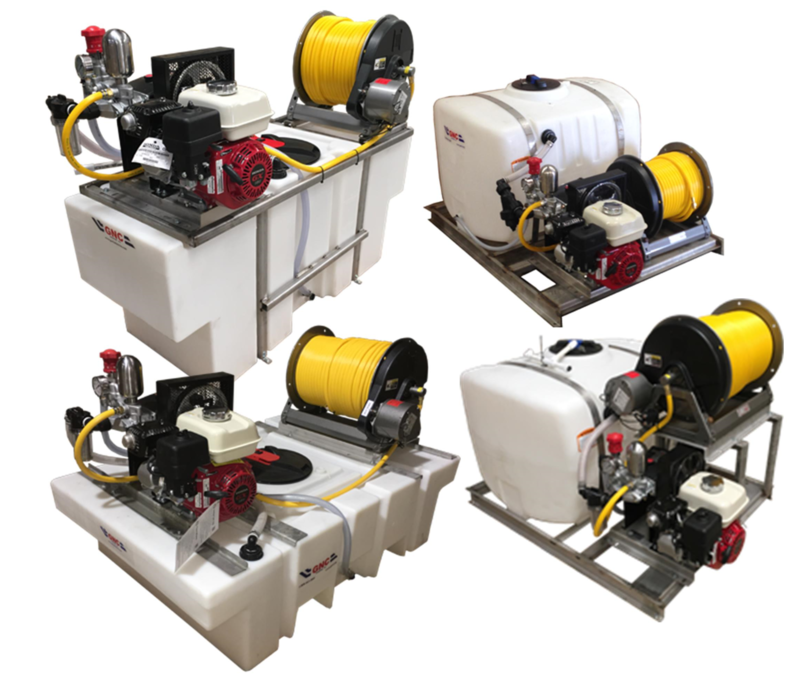 GNC Industries offers the 200 gallon sprayer in several different models: Space Saver, Traditional Skid, Fiberglass and Split Tank Units. GNC Industries offers the 300 gallon sprayer in several different models: Space Saver, Traditional Skid, Fiberglass and Split Tank Units. GNC Industries offers the 400 gallon sprayer in a couple of different models: Space Saver and Split Tank Units. GNC Industries offers the 500 gallon sprayer is available in the traditional skid mounted model. GNC Industries offers the 600 gallon sprayer in a couple of different models: Fiberglass and Split Tank Units.